I have a deck of blank cards. Theoretically, I can paint the cards with water and "change the water's color". With this in place, given that the other players are holding their cards within the 5x5x5-foot box, I should be able to manipulate the state of the cards simply by recasting the spell (e.g. swap an ace and a two). Would this setup be counted as one instance of "no more than two of its non-instantaneous effects active at a time", or once per card in the deck? I have a set of blank ivory dice: a cubic frame with six sides. I would fill the frame with water and freeze it. Using holes in place of painted dots would allow ice to show through. By coloring each hole as black or white, I could affect the number of pips shown on each side while all the water stays in continuous contact. Assuming I'm playing with two dice, and each constitutes one instance of "no more than two of its non-instantaneous effects active at a time", would this pass even the most stringent interpretations of the shape water spell? I have a blank legal document - or better yet, one that has been filled out with information totally irrelevant to my use case (different name, different legal context). Can I use shape water to paint it and overwrite some or all of the document with the intention that it reverts back to its original wording once the 1-hour duration of the spell ends? Do I have to remain in the 30-foot range for the shaped water to remain? What are the limitations for using shape water for cheating and for forgery? There is an essential phrase you (originally) left out of your description of the Shape Water cantrip (Elemental Evil Player's Companion, p. 21, bold added). All of your ideas seem to involve selectively changing part of the water to one color, and other parts to another color (e.g. changing the water on the legal document to spell out different words in some places, changing the color to be white in some parts of the die and black on others, changing the water to be white on some parts of the card and red on others to represent an ace, etc.). But since "the water must be changed in the same way throughout," this would most likely be impossible. It might be possible to write a specific message in water on a paper or card, and then turn all that water black and opaque (or clear) as you desired. But you couldn't alter the message to fit your needs. You could argue that you can "cause the water to form into simple shapes and animate" and thus rewrite the messages or cards as you see fit. But "simple shapes" tends to mean polygons (i.e. closed shapes like triangles and squares), and usually would rule out more intricate shapes like writing. Finally, it's quite debatable whether a wet card would be considered "an area of water" (or whether a wet document would be anything other than suspicious). You've suggested (in a comment) that the card would not be wet, but covered in "a light layer of colored frost." Note, however, that the spell does not give you the ability to melt ice, but only to freeze water. And ice cannot be moved or altered in appearance or shape by this spell: only water. What are the limitations for using shape water for cheating and forgery? Maintaining line of sight and a clear path to the water. Having water available to manipulate and not a dry color. Being able to somehow hide your spellcasting from those that could discern what you are doing. Following a strict adherence to the allowed uses of the spell enumerated in its description. Your uses of shape water are imaginative, though I imagine one does not roll dice or play cards with wet surfaces. You shape water with that spell, not evaporated colors; are your play surfaces still damp? Spells are not necessarily subtle, unless you are using the sorcerer's Subtle Spell metamagic. This would imply there is a good chance that someone will be on to you and your cheating. You would have to cast this spell presumably more than once to continue to manipulate the water to your liking. It is not immediately clear that shape water can manipulate ice or frost; you would have to wait for it to melt or dismiss that as an Action. Sort of in some cases. Dice - This could actually work, if some pips are 'real' and others are just holes to the water-based interior of the die. Turning a 4 into a 6, or a 1 into a three, but other players might wonder why there are empty colorless pips in the die. If you are trying to use a tiny block of ice this way, no, because the entire block of ice would change. Forgery - If you have pre-existing text, the newly added water will not hide the original ink. Dried ink would not be affected by Shape Water, nor would any ink that is oil-based or based on something other than water. If you start with a blank document, you could write text onto the document, but it would just go back to being regular water once it left the spell's range. You could sign a document and let it fade away, leaving an unsigned paper with some water damage on it, or you could present a full document that would fade away after a short time (or after you left range) You have the best chance of some utility on this with Forgery, but only for short-term effects. Note that it could be argued that 'an area of water' might be taken to mean one contiguous bit of water, which could be as large as a 5x5 cube, but must be one piece. So in that case, each word (or letter/symbol if your culture uses block text, pictographs, or runes) would be its own 'area' and you wouldn't be able to affect more than than two such word/letter/glyph/pictograph/symbol/whatever, per the spell. Shape water has a somatic component. The other answers notwithstanding, even the slowest NPCs will get suspicious every time their hands of cards change when you conspicuously gesture towards them. In general, remember that spell components are difficult to hide. If you don't have an item that casts spells for you, a discreet spell focus, or metamagic, it is usually impossible to cast spells without them being obvious to everyone around you. This is well covered in the other answers so I won't give it too much more space other than to mention that the rules for Shape Water are rather vague. At the time of writing there are 17 questions that deal with Shape Water and they clarify some additional details such as it not working on snow / ice, it not letting you fly and it not creating vacuum bombs, so it is worth reading through those as well to see if any of the scams you come up with rely on ideas already strongly ruled out. With the vagueness of the rules mentioned in #1 it will of course be up to you and your DM come to an agreement over whether a given usage of Shape Water is in keeping with the nature in which the spell is intended. In other words, the limitations on the spell is what the DM says it is! If you have a fairly open table with a strong Rule of Cool for Spells then you'll likely find you can get away with a lot more, until you start taking the mick. So you've found something you believe is within the rules, your DM has allowed it, but that doesn't mean it is going to work! If Penn & Teller were given a set of cards, and I was given a set of cards, I'm willing to bet you'd be a lot more impressed with the tricks that Penn & Teller can perform compared to me! Your stats, particularly Deception, Performance, Persuasion and Sleight of Hand, will all factor in to how well Shape Water fits into your charade. Keep in mind, swindling people isn't so much about the props you use, it's about how much you can reel them in!! You're doing great at this! The 3 ideas you've came up with are pretty creative but as we've seen they come up against obstacles set out by the rules of the spell. I think the reason for this is that you are looking at the problem the wrong way round: You are looking at typical scams (loaded dice, trick cards) and thinking about how you can use water in them, you should be looking at water and thinking about how you can turn it into a scam! If you can overcome these 4 limitations I certainly feel like you could run a lucrative hussle using Shape Water in your scams. You may not become rich overnight, but it could certainly make you a little extra coin on the side. A simple test of might that only the strongest warrior with the greatest of wills can survive! 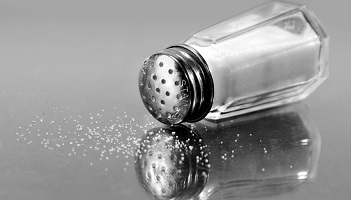 Simply hold this glass of salt water in your hands for 3 minutes* and take home the prize! 1 Gold to enter, 10 Gold for any who succeed! Of course when your victim, I mean contestant, does hold the glass you cast your spell and slowly turn the water into ice! The strong warrior, knowing there would of course be some catch to the challenge, laughs at your puny attempts and holds the glass regardless. However, unknown to him the salt in the water actually lowers the melting point of the ice, allowing it to get as cold as -21 degrees Celsius before it starts to melt. At this temperature frostbite sets in and they feel tingling and discomfort. If they continue to hold the glass then blisters form as second-degree frostbite start to appear. Eventually third degree frostbite starts and the affected area may turn black or yellow, red blisters form, a dull, throbbing pain and itching and burning sensations begins and eventually sensation is lost until the area rewarms. *You may need to tweak the length of time. Read more on this real life phenomenon here. A simple game of logic for all those with a superior mind and clever intellect. Just predict which tankard will be the first to fill when the water is released! So easy a child could do it! Finally, a use for those annoying puzzles that plague the internet every few months. Set up a few kegs in the local tavern, and place a few runs under them with stoppers and the like to make it a little more interesting and have the runs lead to several tankards dotted throughout at different heights. 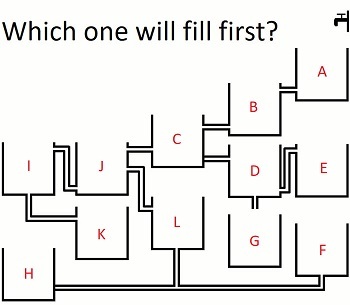 Your victim, sorry contestant, selects the cup they believe will fill first, you release the water and then promptly adjust the flow so that it doesn't. You may need to share a percentage of your gains with the tavern owner of course! Do you have the poise of a Lord, the self-controlled of a monk and the reactions of a panther? Then why not win some gold by filling this little vial at the end of the maze with the water from the top! A new take on an old classic and great for scamming on the go! 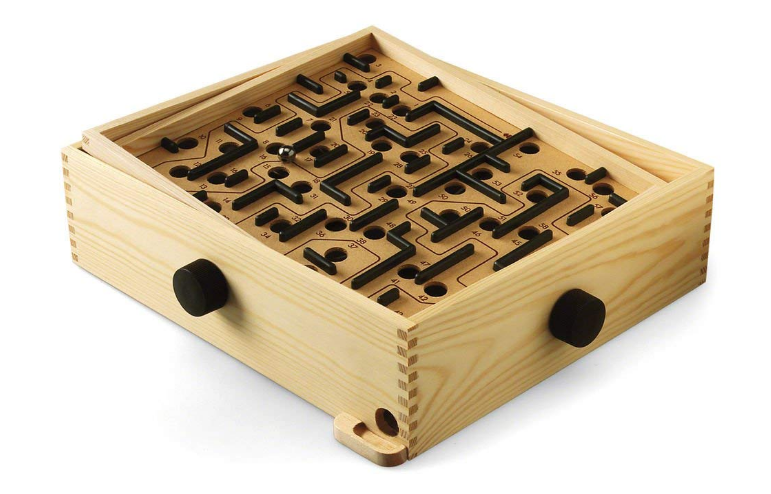 Take a small wooden labyrinth maze like the one pictured above and adjust it so that instead of metal balls it uses a stream of water (not much, just a small amount you pour in) which the victim, not again! contestant sorry, has to navigate from one side of the board to the other in order to fill a small vial. The base of the maze tilts using the twisters on the side which allow the contestant to navigate the water to avoid the holes in the board and perhaps a few hills to make the path the water will take less obvious. They'll be so engrossed in the game they won't stand a hope of seeing you cast a simple cantrip right in front of them to divert the water! Can shape water be used to make weapons? Can you use the 'Shape Water' cantrip to fly? Can a Torch shed bright light for 160ft? Is it possible to combo the spells Create and Destroy Water, Shape Water, and Lightning Bolt in order to make LB more powerful? Can you use shape water to fly? Can the Shape Water Cantrip be used to manipulate blood?